If you’re a small business owner, you probably already know that you need some type of Internet marketing plan for your business. Marketing revolves around getting a business or even individual enough exposure to eventually benefit from that exposure in the form of more visitors, web traffic, and eventually, sales conversions that ultimately translate to profits. Before even getting off the ground with Internet marketing, you need to find a web marketing agency to take care of all of the heavy duty work. It’s just simpler, especially since web marketing can take a lot of time from you actually running your business. Finding a Dallas Internet marketing consulting agency isn’t hard at all. It’s more difficult to ask about what your business may need out of any Internet marketing consulting agency for its marketing needs. Here, we’re going to take a look at questions to ask Internet search marketing consultants before you hire them. How much do you charge? Many web marketing agencies have different pricing schemes for the various services that they provide. While some Internet search marketing consultants could have fixed price fees for certain packages, others could charge according to how long they’re working for your business. You ultimately want to find an Internet marketing agency that provides a high quality service without sacrificing too much of your budget. What tools do you use? The type of tools that a web marketing agency uses can determine whether or not they’re suitable for your business. Since there are many tools that take care of many aspects of web marketing, you need to know what tools they’re using to make sure they match the goals and needs of your business. What services do you offer? Besides the tools, you also need to know what services they provide for their customers. You’re going to want to find a Dallas Internet marketing consulting company that specializes in several different aspects of web marketing, including SEO, social media marketing, web advertising, search marketing and the like. Do you offer guarantees in performance? This question is a ‘trick question,’ when you think about it. If you approach a web marketing company that actually answers with ‘yes,’ steer clear. No reputable web marketing agency will know the true answer to positively making their clients rank high in search engines. A good web marketing company ultimately does enough to ensure their clients get enough exposure without the promises of what’s probably a scam. It doesn’t hurt to ask your web marketing company questions. So, the next time you’re about to contact your web marketing agency, get your questions out and ask away. 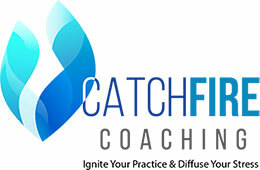 More information about ‘just asking questions’ are addressed in Catchfire Coaching with Dr. Chandler George, your ‘360 approach’ to learning more about web-based marketing and management.